Few movies could be as polarizing, yet as undeniably well made, as Miranda July’s “Me and You and Everyone We Know.” Some will angrily walk out of it believing they have just seen the typical, nonsensical Sundance entry. Others will take a queue from the opening credits, which are placed against a man setting his own hand on fire, and be prepared for the totally unexpected. “Me and You and Everyone We Know” is told in a series vignettes that sometimes overlap, and sometimes don’t. July plays Christine Jersperson, the perky and awkward performance artist who has a day job as a driver for Elder Cab. She struggles to sell her art, which consists of videos of her acting out various dialogues, usually concerning people in love. 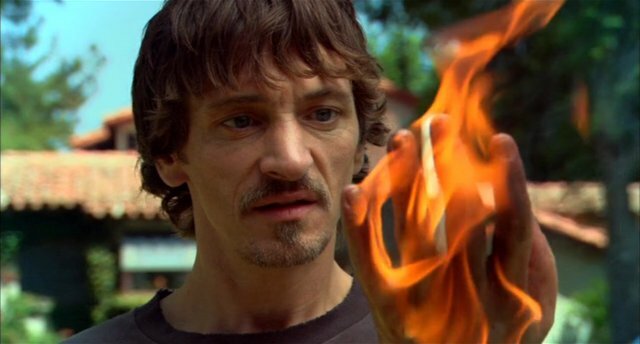 Richard Swersey (John Hawkes), who had set his hand on fire in the first scene, foolishly thinking he could pull off a magic trick, is recently separated from his wife and he tries his best to bring his two sons up right. His two young boys take to the Internet and form a twisted relationship in a chat room, while two neighboring and insecure teenage girls vie for the attention of a creepy man who lives next door. They may all vary in age, but they are all dumbfounded by the seemingly meaningless direction of life. July, a former Portland based performance artist in real life, has created a movie that is itself a piece of performance art: every scene depends on an audience reaction in order to get it going to its intended effect. There are so many different scenes that push it to a limit, whether it be the hand burning or the goldfish scene. In the memorable yet perplexing goldfish scene, a goldfish in a water-filled plastic bag is tossed from car to car on the highway. In a way, it shows how helpless each character in the ensemble is to the unfolding of their own story and in the way that the fish’s survival depends on the movement of each car, so does each character depend on the actions of one another. July is just as good of an actress as she is a writer and director. She displays a delicate emotional vulnerability that is funny and sometimes sad. While her speaking manner is awkward and timid, her presence is always inviting. When her and Hawkes are on screen together, they share an uncomfortable chemistry that makes it seem as if each of them was a puzzle piece that was meant to be together. Creating this can be tough, but these two actors rose to the occasion and succeeded. Watching “Me and You and Everyone We Know” made me think of Todd Solondz’s “Happiness.” Just as that movie was about the many eccentric lengths people go to in order to find happiness, this movie is about the crazy lengths people will go in order to find what they think is love. In the end, love is not some universally known feeling. It is something that can only be shared amongst a select group, it is what connects me and you and everyone we know. 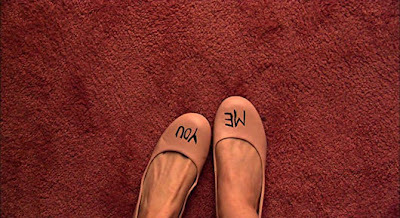 “Me and You and Everyone We Know” is filled with many deep and powerful images that might not hold as much significance on a first viewing. I began to appreciate the film more during round two. You will begin to notice little things, such as one image at the beginnings that mirrors a painting shown at the end, and the combination of those two is rather remarkable. I would not call this a nice little movie, as some of the characters do things that wouldn’t necessarily make them likable. However, it is a movie that is very quiet and mature throughout all of its humorous instances. It is not a concluding resolution, but rather a concluding feeling, that defines everything. Movies don’t do that often enough. 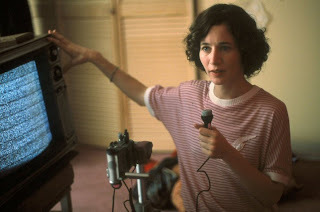 This entry was posted in Comedy, Independent Films, John Hawkes, Me and You and Everyone We Know, Miranda July, Movie Review, Performance Art on January 17, 2012 by ian0592.